Robert W. Dinsmore is a member in the Morgantown office and concentrates his practice in mineral law, real estate and commercial law. He represents several large and small coal companies and has been involved in everything from acquisitions and sale of coal reserves and coal holdings to removal of cemeteries. He has also represented several governmental bodies in creating and operating sewer and water utilities. He has been involved in county planning and subdivision creation. Mr. Dinsmore obtained his Bachelor of Science degree from West Virginia University in 1962, and his JDLM from West Virginia University in 1966. He is a former member of the West Virginia House of Delegates, where he served four terms and was chairman of the Conference Committee that created West Virginia’s first pneumoconiosis law, recodification of the municipal code and West Virginia Controlled Substance Act. During his first year in the West Virginia Legislature, he was chosen “Rookie of the Year." He is a member of the American Bar Association and he was named a Fellow by the ABA, in 2013. Mr. Dinsmore is also a member of the West Virginia State Bar Association, where he served on the Board of Governors, West Virginia Bar Association and past president of the Monongalia County Bar Association. 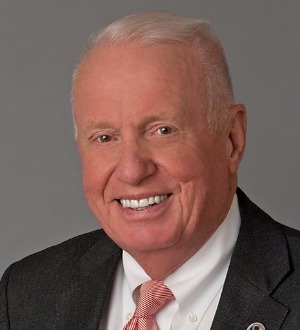 He also serves on the boards of numerous charitable organizations, including the Ronald McDonald House Charities of Morgantown, Inc., which he was instrumental in creating and serves as Chairman of the Board. He is an avid runner and amateur photographer.